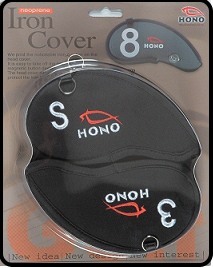 HONO GOLF is a professional R&D manufactory for golf products. OEM/ODM service and Custom embroidery are available. (New idea, superior quality and offering factory price). For further inquiry price, please click here. - With embroidered numbering system with 1, 3, 5 and the logo on top. - Extra-long knit sock to protect shafts. Imported. - Made of softex for excellent protection and easy on/off. - Dense-pile acrylic plush pile provides maximum club protection and a stylish appearance. - Quick and easy viewing of club type and number. 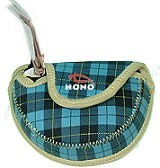 - Fashionable and Functional Design for all Golfers. - With velcro fastener, it is easy to put on & off. - By 3-dimensional tailoring, the appearance looks wonderful 3-dimensional (not flat). - Color: Blue, Black, Leopard spot, camouflage. - Material : Neoprene+ EVA (High elastic / scratch protection and durability).